Trivia Games are one the best genres for playing games because trivia games are best for every age group people. These games can be played by kids, teenagers and also old people. Puzzle games, quiz games are come under trivia games. There are many types of trivia games are available for PC online and offline. Offline Trivia games are very famous because most trivia games are online. Trivia game will test your geography knowledge, history, entertainment and current events. If you think that all the given topic is strong and you can accept the challenge, you can play these offline trivia games in your PC. For those who want to play trivia games that don’t need WiFi, I have made a list of top 10 free Trivia Games that don’t need wifi connection to play. All the given free offline trivia games are suitable for windows 8, 10 and iOS and are the best Trivia games for free 2018. When you are feeling bored and want to pass time and you are at home or in your offline, you can play these given games in your laptop or PC. I have given description of each game, so that you can easily choose according to your taste. Let’s take a look of list of Offline free trivia game for Windows for Free 2018. Millionaire is one of the best Trivia Games For Windows and this game is based on a very famous television famous show ” Who wants to be Millionaire”. In this game, you will be asked many questions and it is optional. You have choose the correct one to get virtual money. These game can be asked from any subject as sports, geography, history, movies, actors, science, physics etc. Every question has a fixed price and you get the price by answering the question. Three other option also will be given to you to help means whenever you feel that you are confused in answer, you can use life line to be in the game because if your answer is wrong, you have to quit the game and you will get the money which you have won answering correctly. Millionaire is a addictive and interesting game by playing this game, you can increase your knowledge and you will know more about the world. So if you love to this offline free trivia game in your mobile phone, just download this game and start playing. What Is In The World is another best offline Trivia Games for PC 2018. This game is made for test human skill and memories at logos, movies, celebrities, games and more famous things which daily use in our daily life. We see these logo and people when we travel, we see it on wall stickers and also in television. In this trivia game, there are hundreds of pictures and logo to identify. There are six levels in this game and each levels are more difficult than it previous one. This game will challenge you and you will become very thoughtful and after playing this game, you will watch all the things logo very carefully so that you can answer. When you start playing this game, you will a picture on the screen and you have to tell which brand has this type of logo or you have to tell the given actor’s name etc. Along with pictures, you will see that some letters are also written on bottom of the screen. So if you know the name of the brand or the name of the given celebrities, just spell the name and get the coin to go to the next level. So this is another the best offline Trivia games for PC. Just download this game in your PC and start playing it. Think is another wonderful no wifi trivia game for PC 2018. This has make its place in the heart of trivia game lovers. This is a free trivia game for PC in which you have to answer the question and the best thing is you will have enough time to solve the puzzle. There are almost 200 puzzles which is spread across 30 levels. This game can be come under casual games because you don’t to hurry to answer and you have pretty much time to think about and solve the given puzzle. 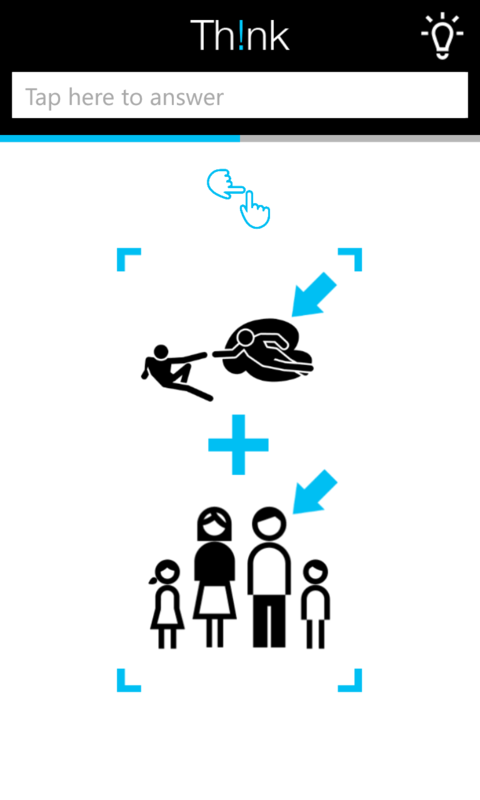 In this game, you have to combine two images and create a visualization to find new word to answer it correctly. 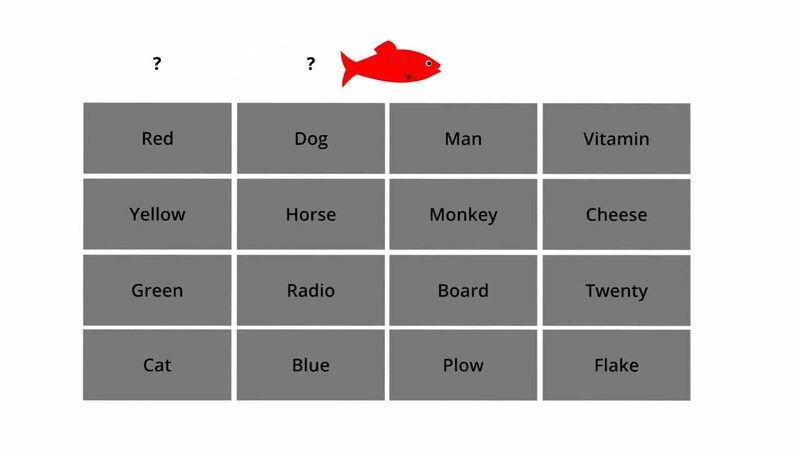 See the above given image, you guess how difficult and how easy to solve these types of puzzles. If you are being bored at home and you want to use your time, just start playing this game. It will make your time enjoyable. The puzzles will be like there will a image of a bat with a man. what can be called it when we mix both image? I think that we can call it a batman. So like this, you can easily solve the puzzle and be the best trivia player of the world. If you want to download this game, just search it in google by its name and download it from there. Red Herring is another best free offline trivia games for PC. This trivia game will test your skill how you manage things and categorized them. You will be given a list in which many things are given from different categories and your aim is to categorize the given things. There are many levels in this trivia game in easy mode, you will see the label. So you can easily categorized the things according to the label but when you reached to the hardest level, the label will be hidden. So you have to guess the category according to your skill and when you complete the categorization, the label will be opened. So just use your skill and categorized the things. This is very addictive and PC supporting game. If you love to play this type of game, just download this game and start playing. This game has the best graphics and beautiful interface which attracts to game lovers. 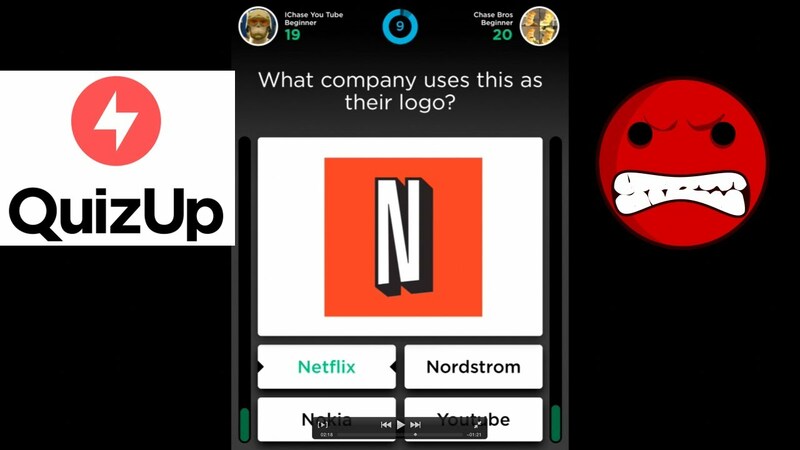 Quiz UP is another the best offline Trivia game for PC 2018. This game is based on quiz. The question will be asked from various area as science, TV trivia, Advance Math, Beer logos, Astrology, and more. So just choose the topic in which you are interested and start answering the question. You can also challenge your friend and beat them with ease. This trivia game will give quick firing questions and you have to answer in type. One match has seven question answer them get to the next level. The difficulty level will be also up with level. The questions will be asked in multiple choice fashion and you have to choose answer in few second. If you answer quick, you will get more points means answer as fast as you can. To become the best player of the game, you have to get most number of points. So just download this game, if you love to play quiz trivia games. This game can be played both ways online and offline. So it’s upon how you want to play. If you love to watch movies and you want to be in movies, this game will test your knowledge of silver screen. 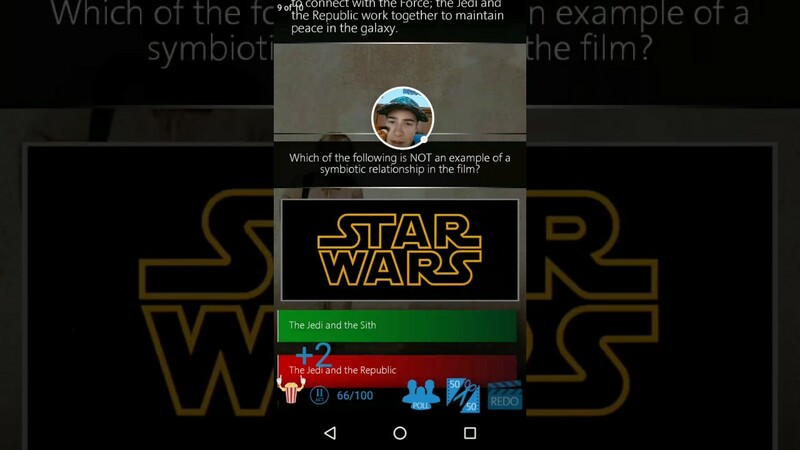 In this trivia game, you will be asked many questions related to movies. All questions are collected by motion pictures. The question can be asked from old to new movies. The question are easy to difficult and four options will be given for every question and you have to select the right answer. Questions are asked from anywhere from the movie as you can be asked that who said this or which songs is played when or what is the name of hero or director etc. If you want to get more point that actual, you have to answer quickly. You can get hint, if you need as 50-50 and expert advice. PopcornTrivia is very addictive and interesting. So if you want to download this game, go to google and search and download in your PC. Guess the Song is a musical quiz game for PC 2018. This is a free offline Quiz game for windows. 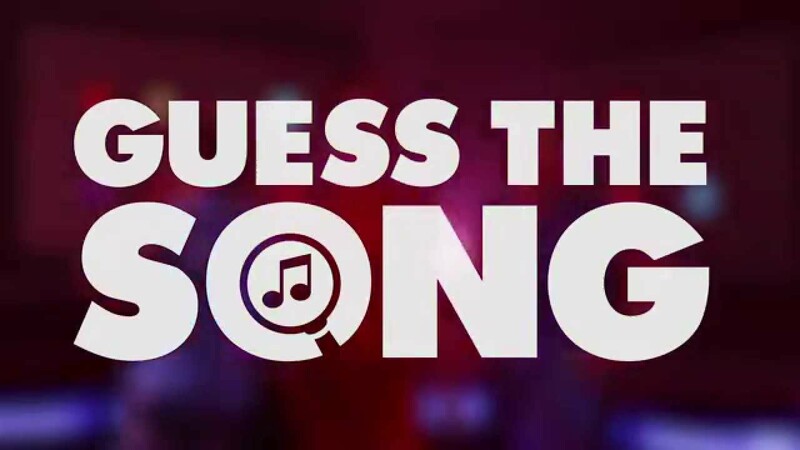 In this game, a music will be played for few second and you have to guess the song and tell about its artist or music or any other sing about the game. There are various mode in this game as head to head, time trial. So choose which one you want to choose and start playing the game. This game is very beautiful for song lovers. Guess the song is not a addictive but some interesting features will keep you engage with this game. So just download this game in your mobile phone and start playing. The Great Football Quiz is great trivia games for Windows PC. 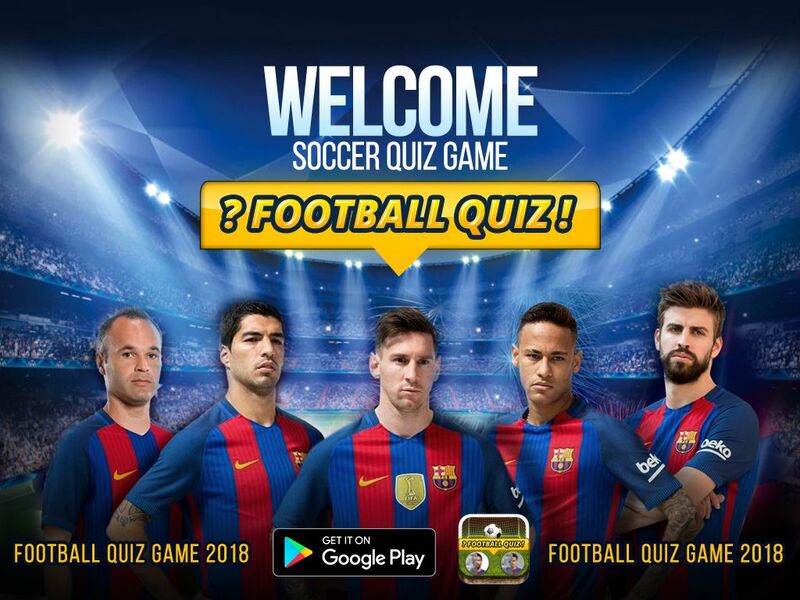 As you know football is most favorite sport all over the world and if you think that you are the best fan of football game, this game will test your knowledge of Football game. Spend a whole week in playing this game, you will automatically come to know that how big fan you are of Football. In this game, the questions will be asked related to football game. There will be four option given and you have to choose the correct option to get point. There are 13 individual category and 640 difficulty levels. If you want to be the best fan of football, you have to prove it by clearing all the given level. So just download this game and test your football knowledge and start playing. These are the best offline Trivia Games for PC 2018. All the given games can be played in window 10, 8 and 7. So if you are lover of trivia games and want to play in your laptop or PC. Just start playing one or two the given. Trivia games are being played from ancient time and people love to play trivia games. Just download the given games and start playing in your mobile phone. I have mentioned top 8 trivia games for PC according to my flavor and if you know about any other game, you can mention in the comment box by commenting below in the comment box. Thanks. This entry was posted in No Wifi Game 2018, Offline PC Games and tagged download quiz games for pc, it's quiz time app, it's quiz time review, it's quiz time xbox one, multiplayer, pc quiz games, pc trivia games, steam trivia games, trivia night game on August 10, 2018 by satyenhacks.